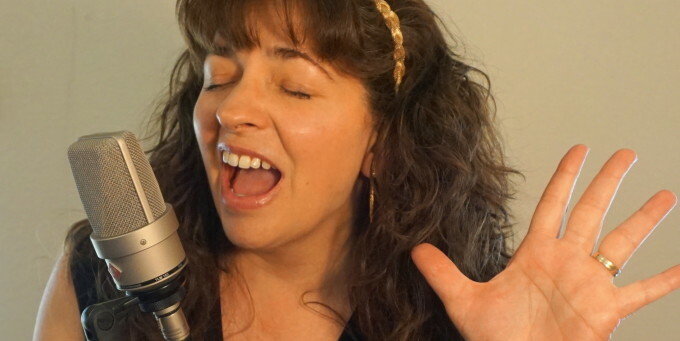 Have you ever felt like you have pressure on your throat when you’re singing? Or have you felt like you have to push the sound out to get the effect you want? There is a simple solution to this – resonance! What is resonance? You’ve heard it many times in the vocalists that you admire. It’s that ringy pingy something in the vocal that makes the notes fill the room and hang in the air – and the voice seems to transcend the body. It brings a beautiful quality to your tone– for all the reasons above – Sort of like adding natural reverb to your voice! It’s a much healthier way to sing. Quite simply, without that forward placement, the vocal sound sits squarely on the throat, causing more pressure on the vocal cords. The sound is trapped inside the body, and generally singers try to sing more loudly and with more force to compensate. This can lead to strain and other vocal problems over time! Bringing back the volume and lightening your sound allows the space for resonance to happen. It makes singing easier. Diligently practicing resonance building exercises will train the voice to buzz and vibrate forward through the facial bones and teeth. This is also known as “singing in the mask” and acts like your own built in amplifier, carrying the voice effortlessly outside of the body without strain. This takes pressure off of the throat, allowing it to feel light and free. Resonance sounds better, is healthier for the singer and with practice makes singing easier – Win- win-win! MM-MM-MM – Pretend you are chewing the most delicious, yummy chewing gum in the world. Make the MM-MM sound like you really mean it (with the chewing action). Feel that buzz “in the mask”? That’s what we’re looking for! To fully nail this exercise, make sure you really imagine that gum is sooo yummy and that you mean that MMM-MMMM! The Bubble – Do a lip trill like a motor boat or a horse, adding your voice lightly. Go up and down your range on random notes. EXTRA TIP- Keep all of these exercises LIGHT and BRIGHT. If you’re not sure if you are correctly resonating, put your finger to the side of your nose to feel the buzz! Keep practicing and before you know it, you’ll be truly projecting your voice effortlessly as you sing your favorite songs!